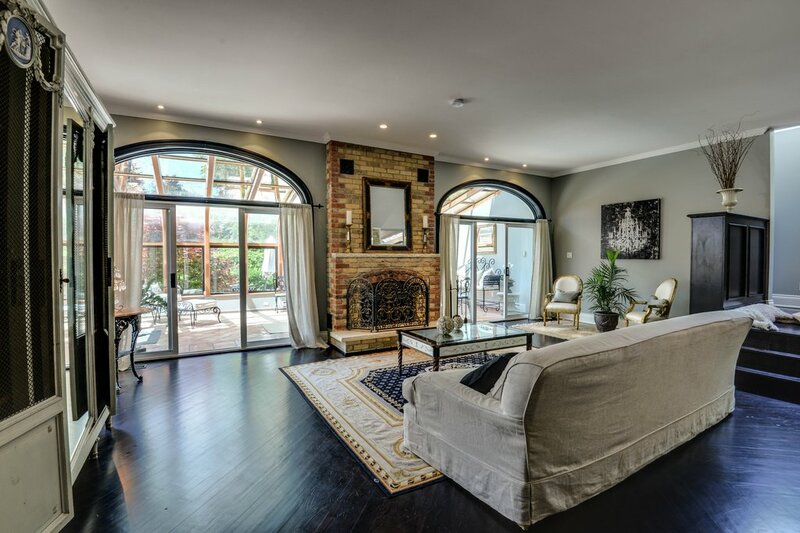 Old meets new in this spectacular, renovated century home located in sought-after Olde Aurora, Ontario. This home features soaring 9- to 12-foot ceilings and a gourmet kitchen upgraded with marble countertops. From the original brick, wood-burning fireplace in the great room to the wooden plank floors in the master bedroom, this home boasts rustic charm. A “four seasons” solarium awaits you overlooking an in-ground pool. Escape into a private oasis while enjoying the perennial gardens and mature trees. Aurora was voted York Region’s best place to live in 2014. Aurora is a picturesque town with a great community feel. Filled with beautiful walking trails, historic buildings and great shops, there is an activity for every demographic. Residents of Aurora enjoy a small-town feel with the convenience of living close to Toronto, Canada’s most populous city.